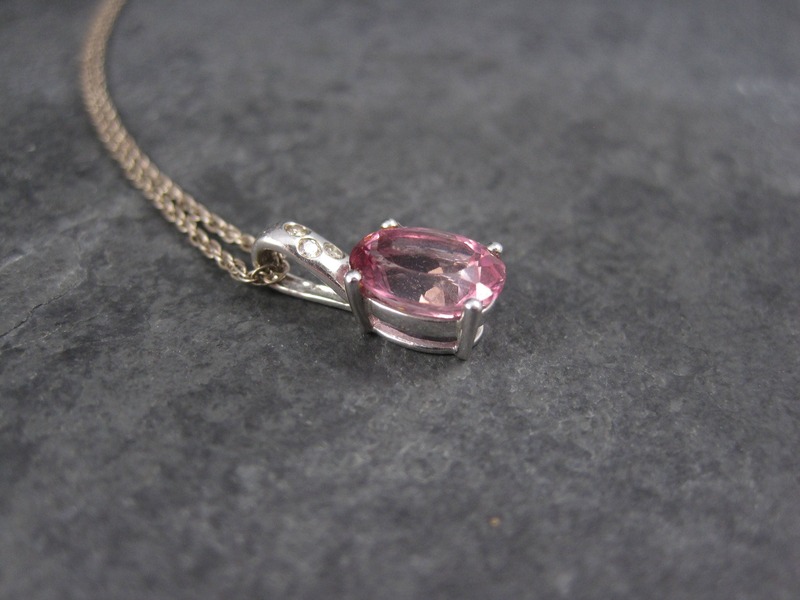 This simple, but gorgeous pendant is 14k white gold. 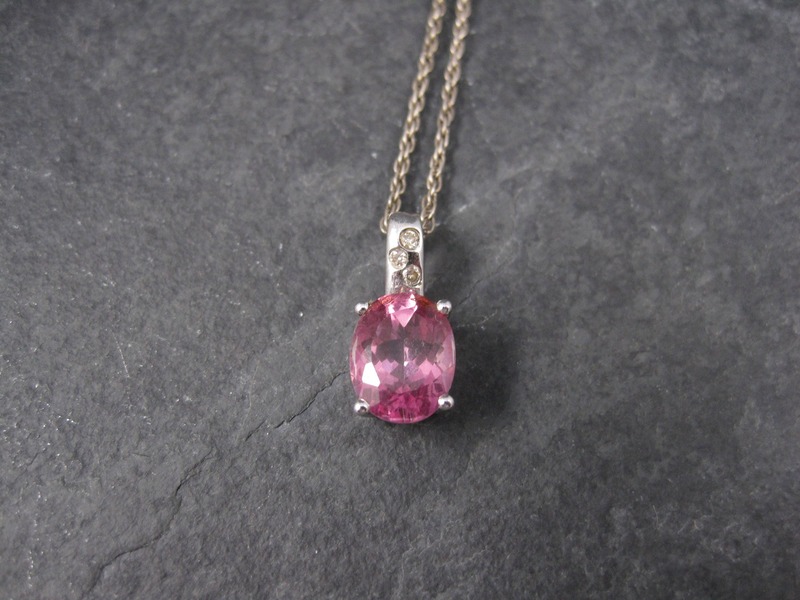 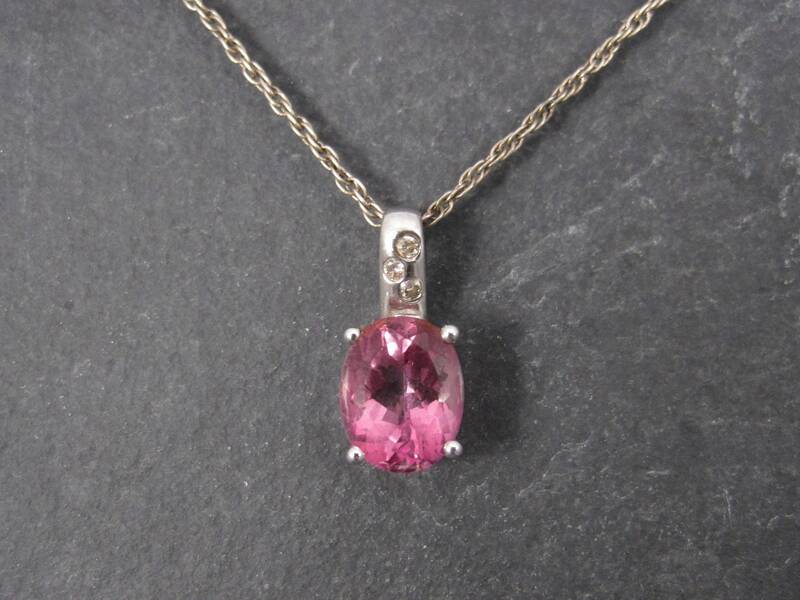 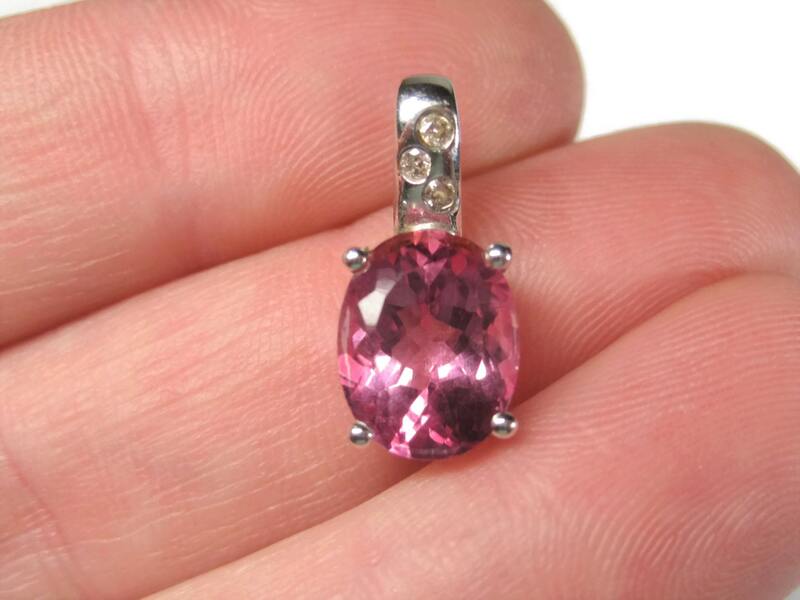 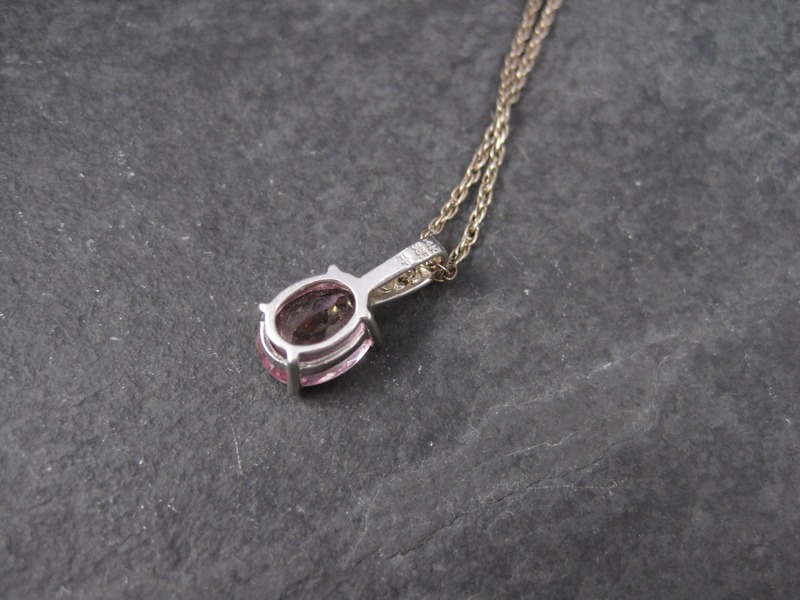 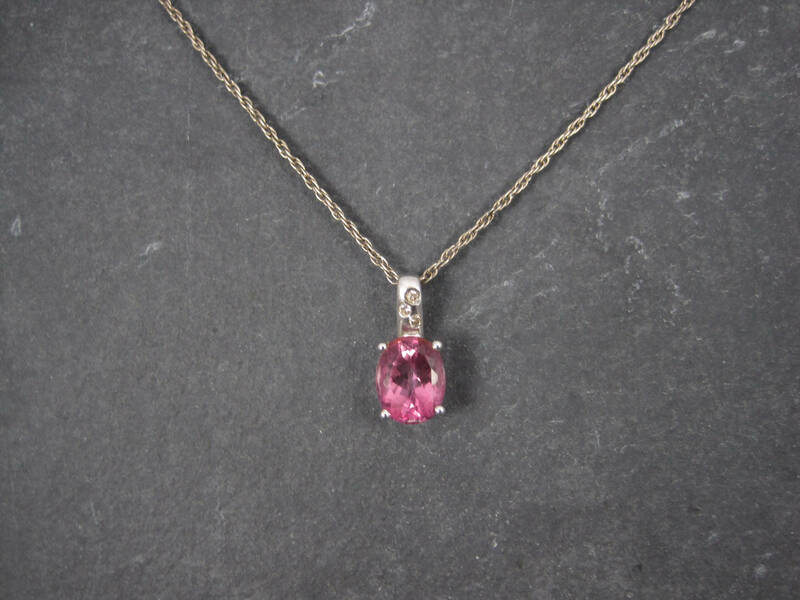 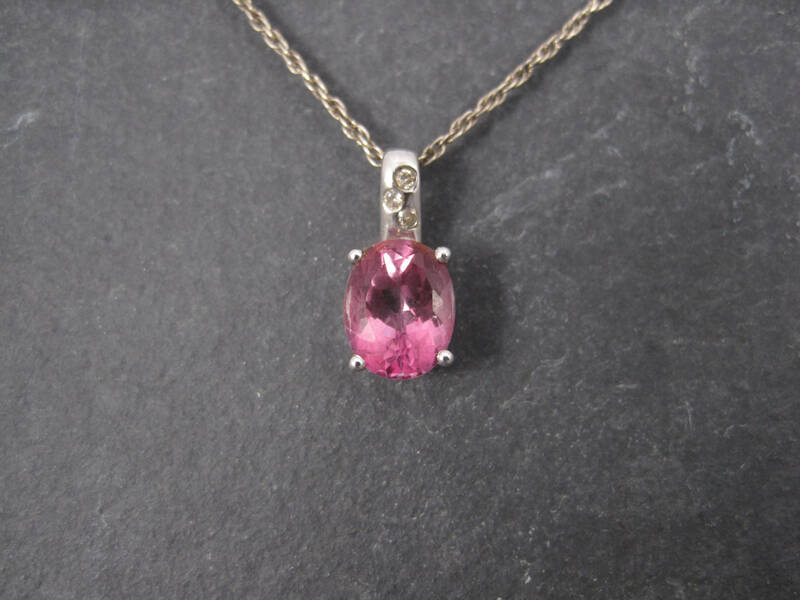 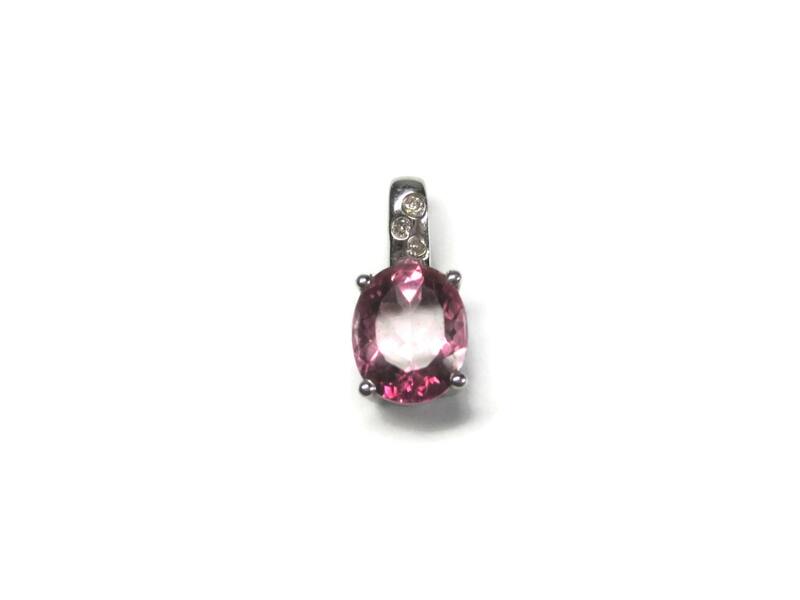 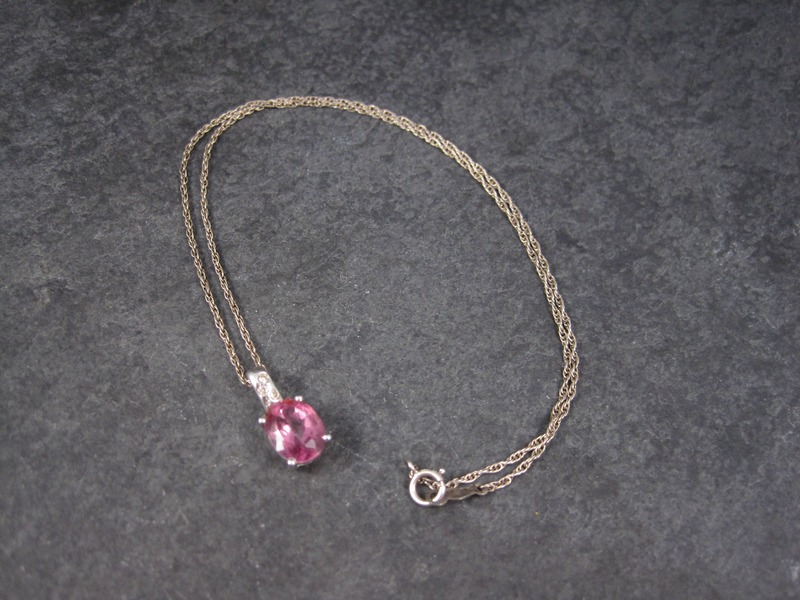 It features an 8x10mm, 3 carat pink topaz accented by 3 small diamonds. 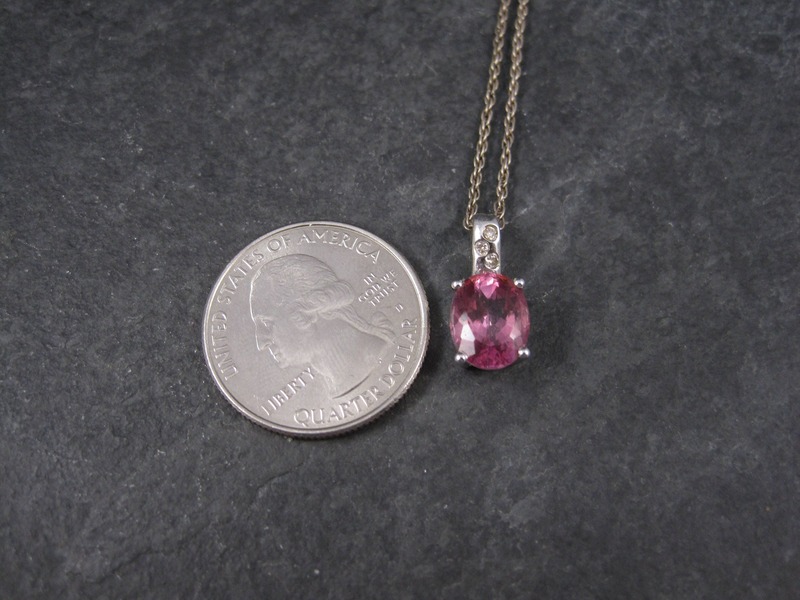 Measurements: 5/16 by 11/16 of an inch.